Four years ago 21 Egyptian Christians were beheaded on a beach. Two months ago 20 Philippine Christians were killed by a bomb in their church. And just last week 300 Nigerian Christians were slaughtered in their homes. There is a range of possible reactions. The first one, rightly, is shock, horror, and sadness. We grieve at the state of the world and we mourn. Another response is to ask why. Why did this happen to them? Did God bring this upon them as judgment? And trying to sort out people by their tragedies. This is exactly what the people are asking Jesus in the Gospel today. Tell us about those Galileans that Pilate killed. What was God punishing them for? But also for their deaths to be defiled and their blood mixed with pagan sacrifices? Surely, they were especially wicked. No, they’re not worse sinners than anyone else in Galilee. Just like those 18 poor souls on whom the tower of Siloam fell. They weren’t worse sinners than anyone else in Jerusalem. And now that we’re clear on that matter, let’s just be honest. But the one you’re really wondering about is yourself. Then you can go on thinking that you’re in pretty good shape. And so we can and must say that death in general is a consequence of sin. But that’s not what the people were asking. They mean to ask if those folks were being punished for something special. In some ways we’ve become sensitive to this. Nowadays that kind of an inference is too brash for us. No longer do we boldly assert God’s judgment in such situations. Because in most cases, we can’t know. And even that He wouldn’t (punish sin). Simply because he was teaching heresy in the public square? An example that Paul recalls in today’s Epistle. He gives that and other examples because we mistake patience with permission. That sort of nonsense is just the other side of the same coin. Then God approves of everything going on, and the people have no need to repent. 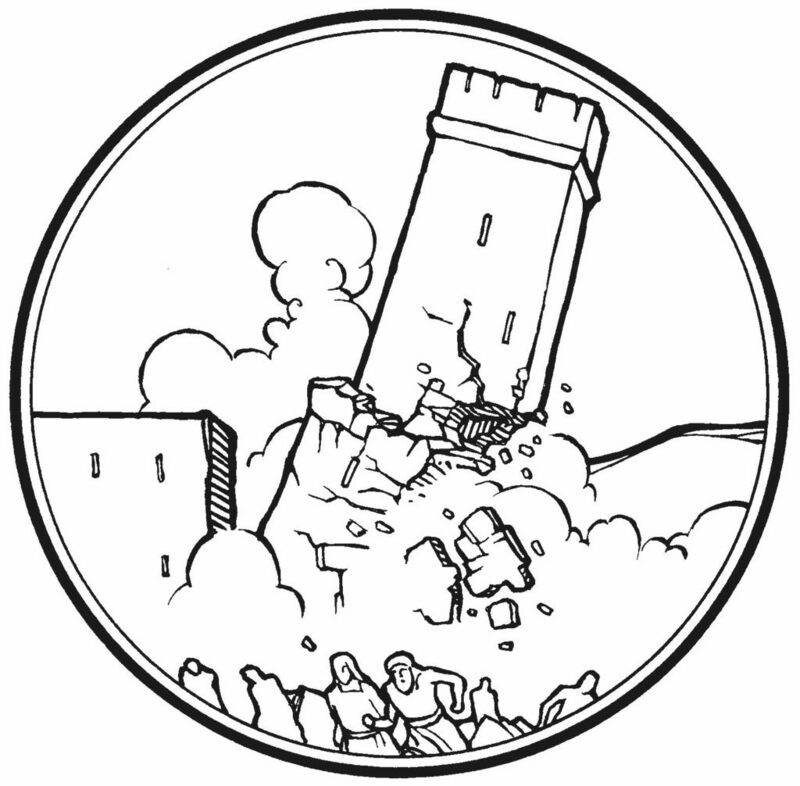 If the tower falls down, then they must have had it coming. Try pedaling that empty and vain theology of glory with the faithful at Trinity Lutheran Church in Milwaukee, whose sanctuary burned to the ground last summer. Whose home literally exploded only five short years ago. That God approves of them. All this patience, all this kindness, all this grace – it is not permission. It is a divine mercy meant to lead you to repentance. This is what Jesus is getting at when He tells them the parable of the barren fig tree. The tree isn’t doing what it’s supposed to do. Its one job is to bear fruit, and it isn’t. Jesus is the patient Vinedresser who holds out judgment in mercy. He tended it and nurtured it and cared for it with patience. But that patience does eventually come to an end. We do not wait for next season. The time for repentance is now. The time to bear fruit in keeping with repentance is now. That repentance is not a transaction with God for the temporary relief of guilt. Whose blood was shamefully mixed into his sacrifice. Because this Galilean, this Jesus, actually was being punished for sin. Or any of the dribble that floods the networks during Holy Week. That He was falsely accused of rebellion and disturbing the peace. It’s one of the few times we can truly say someone is suffering the divine penalty for sin. That Jesus suffers for your sin and not His own. Like that barren tree, Jesus has nurtured you, tended to you, and cared for you. He’s watered you in Baptism, and fed you with His own Body & Blood. He’s given you His Holy Spirit, that you would bear fruit in keeping with repentance.